Marseille is a principal Mediterranean port city in the south of France and is located 980km south from Amsterdam. Let’s look at the options for travel between Amsterdam and Marseille by air, train or bus. Flights between Amsterdam Schiphol (AMS) and Marseille Provence Airport (MRS) take around 2 hours. Flying is by far the quickest way to travel between the two cities. As both France and the Netherlands are part of the Schengen Zone you do not need to go through a passport control check when travelling between Amsterdam and Marseille. 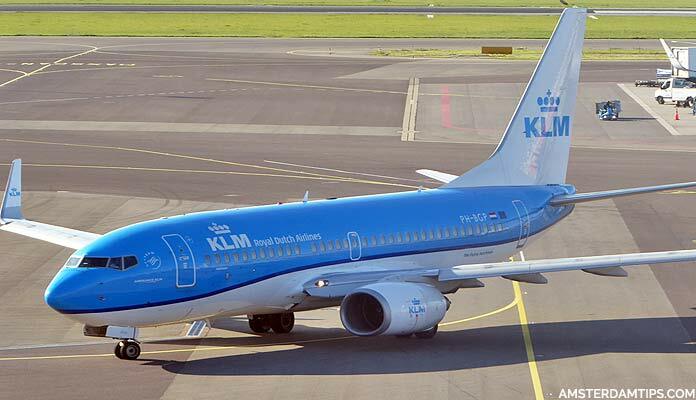 KLM (Skyteam alliance) flies 3x daily non-stop from Amsterdam to Marseille using Boeing 737 aircraft. Prices start from around €110 return not including checked luggage. Air France-KLM also offers connecting flights via Paris Charles De Gaulle. Note, no frills airline Ryanair operates 2-4x weekly flights from Eindhoven (EIN) to Marseille (MRS). Transavia (a KLM no-frills subsidiary) flies from Rotterdam-The Hague (RTM) to nearby Toulon (TLN) during the summer months. 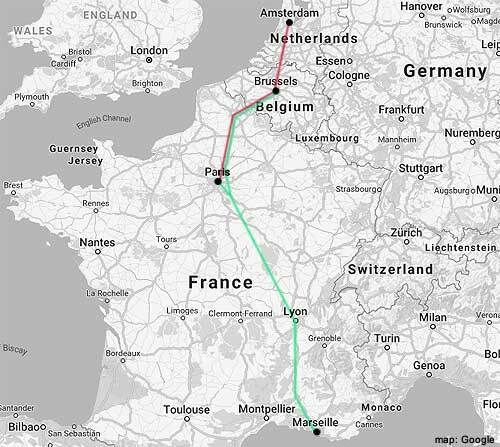 Travel by train is possible between Amsterdam and Marseille and the journey can be done in about 7-8 hours. 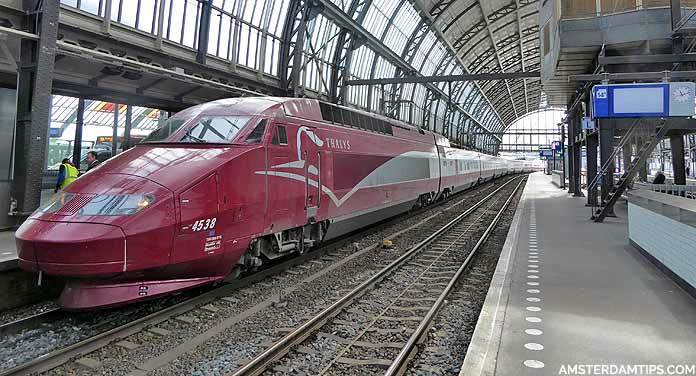 (1) Travel from Amsterdam to Brussels Zuid/Midi using the high speed Thalys or Eurostar trains – these run 14x daily for Thalys and 2x daily for Eurostar and take just under 2 hours. It is also possible to travel between Amsterdam and Brussels using slower Intercity services. For more info see international trains from Amsterdam. (2) Taking a TGV train between Brussels Zuid/Midi and Marseille St Charles which takes about 5 hours 15 minutes. This train runs 3-4x daily and travels via Paris Charles De Gaulle, Marne la Vallée-Chessy, Lyon Part Dieu, Valence, Avignon and/or Aix-en-Provence. It is also possible to take the Thalys from Amsterdam to Paris Nord then transfer across to Paris Gare de Lyon. From here there are more frequent TGV trains to Marseille St Charles. However connecting in Brussels is more convenient. Amsterdam-Marseille rail journey: Take the 0817 Thalys train departing Amsterdam which arrives at Brussels Zuid at 1008. Then take the 1033 TGV service from Brussels Zuid which will get you into Marseille at 1546. Marseille-Amsterdam rail journey: Take the 0914 TGV service departing Marseille which arrives at Brussels Zuid at 1512. Then take the 1552 Thalys which arrives back in Amsterdam at 1742. Fares for the trip start at €60 (2nd class) or €119 (1st class). To secure the lowest fares it is essential to book well in advance. However, the cheaper fares are usually found via Paris rather than Brussels though. There is a special Amsterdam-Marseille ZonThalys direct service which runs weekly on Saturdays during July and August only. The train operates as a normal Thalys from Amsterdam to Brussels but then continues on to Marseille St Charles. One-way tickets cost from €61 in 2nd class / €99 in 1st class – tickets normally go on sale around the end of February and sell out fast. Eurolines runs connections from its Amsterdam Duivendrecht terminal to Marseille with a change of bus required in Paris. The journey takes 27-30 hours. Single fares start from around €66. Flixbus also offers coach connections from Amsterdam Sloterdijk to Marseille, with a change of bus in either Paris, Brussels or Lille. Travel time is 19-21 hours and singles start at €43. French bus operator OUIBUS has coach services for Amsterdam-Paris (up to 7x daily, singles from €19) and Paris-Marseille (up to 4x daily, most require a change in Lyon, singles from €24). There are some Marseille-Amsterdam through-fares available.